New York Painting Services is a small painting contractor completely licensed and insured to supply commercial businesses and residential homes across New York and New Jersey with a number of services with professional workmanship and affordable rates. At New York Painting Services, our technicians are the leading experts in the industry having advanced training, years of priceless experience, and extraordinary experience that make them qualified to perform any task associated with our services. In addition, we use premium quality materials, supplies, tools, equipment, and products available only to licensed professionals to ensure our customers receive nothing less than maximum results. New York Painting Services offers our services to the assisted living facilities throughout New York and New Jersey comprising of exterior and interior painting, drywall installation, replacement, and repairs, wallpaper and wall coverings installations and removal, carpentry work, masonry repairs, baseboard installation, crown molding, power washing and more. We are experienced and trained to work in nursing home environments and can converse with the staff with ease. With New York Painting Services we will do everything we can to impact the flow of the facility the residents and their families, along with the staff of the facility. Working closely with the assisted living managers, we will find a schedule that is best suited for everyone to get the projects done quickly and efficiently. New York Painting Services exterior and interior painting for your assisted living facility is ideal to keep ion the latest trends, express your concerns on keeping up on regular maintenance and shine on the esthetics and protections of your building. 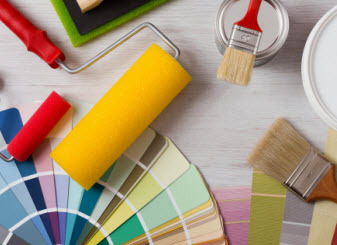 Our technicians can get any exterior or interior painting project done with crisp edges full coverage and can find the right colors that can make your assisted home tranquil calming, or healing and energetic. 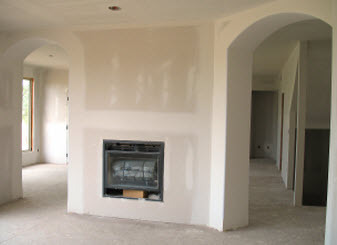 Whether you want something trendy or traditional, our experts can get it done quickly and efficiently. New York Painting Services carpentry service for the assisted living facilities throughout New York and New Jersey includes the baseboards and crown molding, perfect final touching to complete any room, administrative office or common area. Bookshelves, custom shelving, and mantels are a specialty that can make your facility homier and still give it productive and practical storage space. 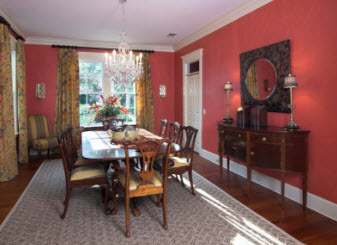 Adding our finishing service can accentuate each room to give it a more unique feel. New York Painting Services masonry services can add a little more elegance to your assisted living facility with quite a few options to choose from, we can help you find what’s right for your establishment and your budget. New York Painting Services power washing services is ideal for the exterior of your New York/New Jersey assisted living facility. Whether you would like the storefront, parking lot, sidewalk, siding, rooftop, or windows thoroughly cleaned, our power washing service can get the deep rooted grit and grime removed to keep your facility clean and fresh. No matter what services you need for your assisted living facility in New York or New Jersey, New York Painting Services can get it done on point and on budget. Call New York Painting Services today to get started!